in their Department of Education and Public Engagement (DEPE) Space. 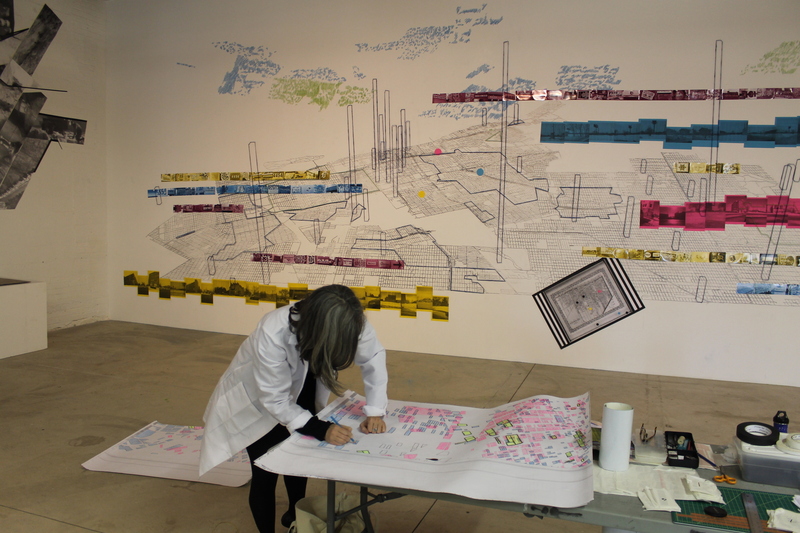 We created a 40 by 15 ft layered wall composition and three-dimensional digital environments as ways of presenting a view of the city through multiple paradigms. We mapped various narratives of the city, layering data gathered from diverse sources: open datasets, historical maps, field collections of visual and GIS data, and data generated through studio-based experiments. 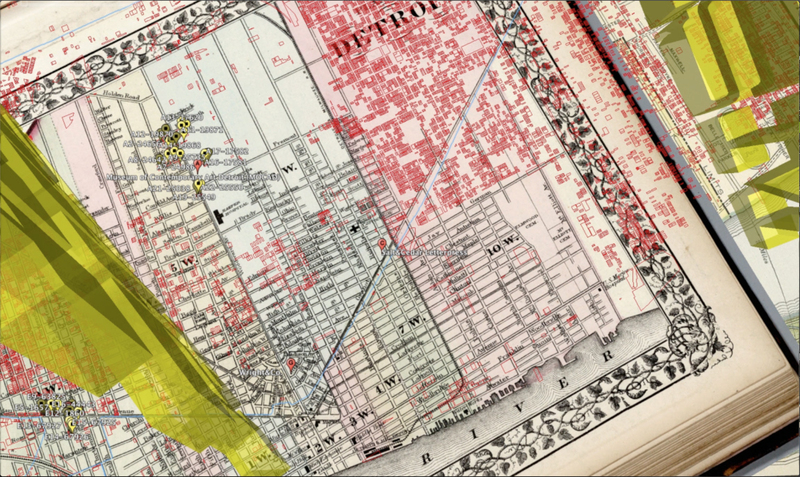 Outcomes included visualizations of city parcels designated as ‘unknown,’ large collections of typographic typologies from the urban landscape and imaginary structures that delineate hidden pasts, and a mapping of the highest water debt in the city. Rather than examining discrete and specific issues, we used various datasets to make irreverent connections among them, revealing other realities of the city. The project involves making the work in a public open setting and, as such, has a distinct performative quality whereby our process is made visible and is open to all. This approach turns the process of design into an exposition of itself. It demonstrates that giving data form—by deciding what is used or discarded, and how it is experienced—is a creative, experimental, and subjective process. It challenges the authority of data and the process by which it is made meaningful.